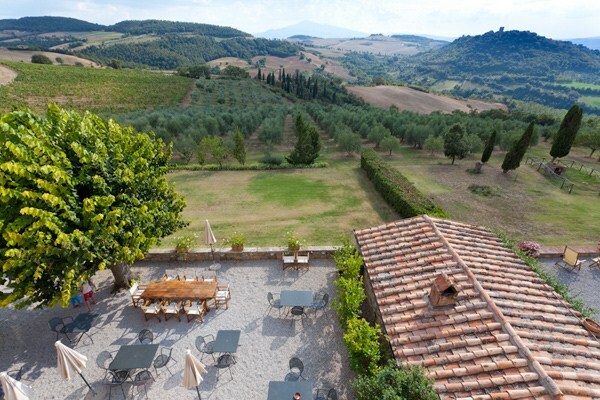 This Agriturismo in Val d’Orcia is a large country estate dated back 19th century, surrounded by vineyards, olive groves, hills and forests, which offers nice and comfortable accommodation in one of the most desirable areas of southern Tuscany. 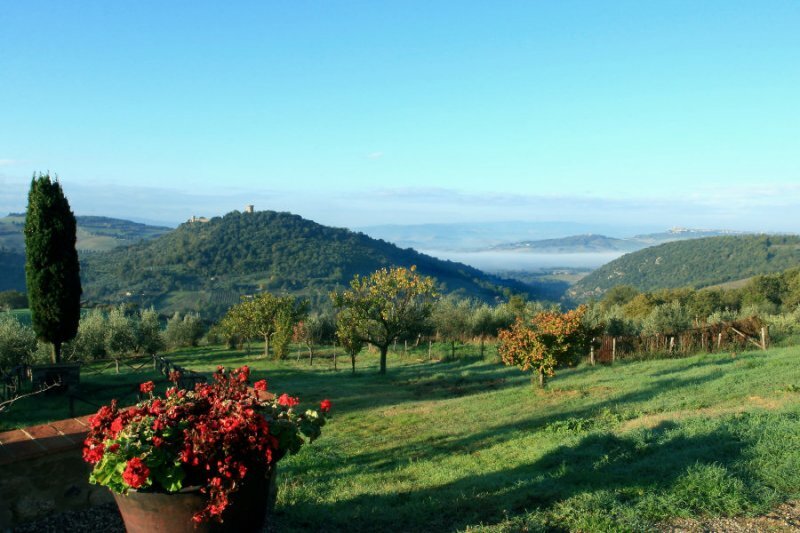 It is located in the province of Siena, in the heart of Val d’Orcia, a beautiful area which is part of the UNESCO world heritage since 2004. 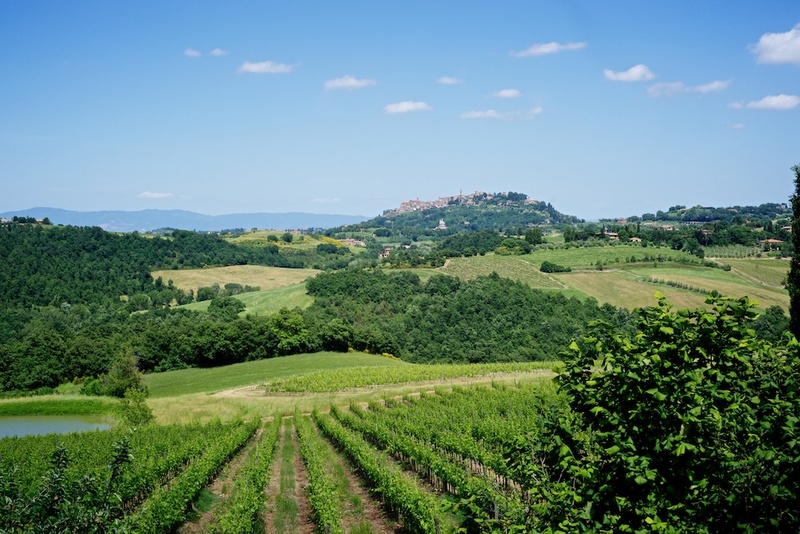 Immersed in one of the most renowned Italian areas for growing grapes, the vineyards of this Farm border with the lands where is produced Vino Nobile di Montepulciano, this location is not far from the Brunello di Montalcino vineyards. There are a myriad of options for excursions and tours in the area and the services offered are a small restaurant where local cuisine is served, wine tour, cooking classes, wireless internet, and the use of pool and bikes. 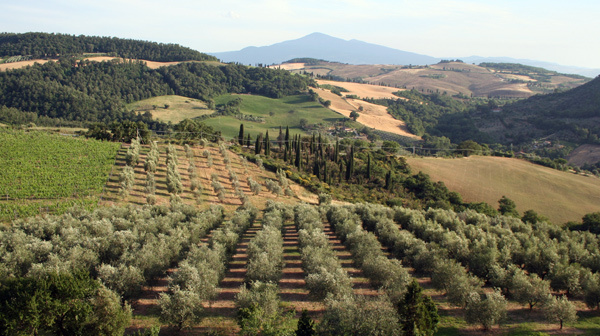 Your symbolic ceremony can be held between the Olive Trees or on a terrace overlooking the Val d’Orcia rolling hills. 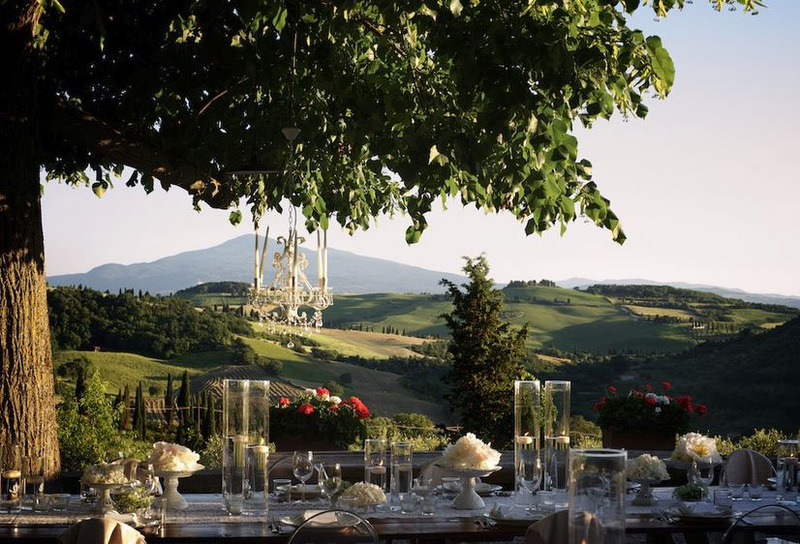 Contact us for your romantic wedding in Val d’Orcia!